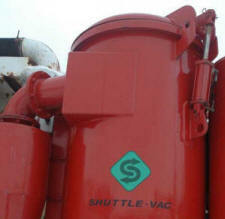 remove waste quickly and efficiently. ensure a quality job in a timely manner. and reduces the time it takes to remove the ballast. We can vacuum Pea Gravel to River Rock plus the dirt that is under the rock giving workers a cleaner environment to work in. 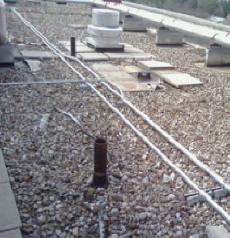 The Wet Vacuum System not only removes Ballast like the Dry Vac but cleans the roof so that adhesives or other roofing materials are used more effectively. There is no roof too unique for us. We have worked on multi story buildings to buildings with all glass exteriors. Disposal is not a problem - we can dump on site or transport for off site disposal. Contact us to get a FREE QUOTE! and let us handle your Roof Preparation needs. Follow us on Facebook. Check us out at LinkedIn.